On Pinspiration day, I take an idea from Pinterest and use it to make a home DIY project. 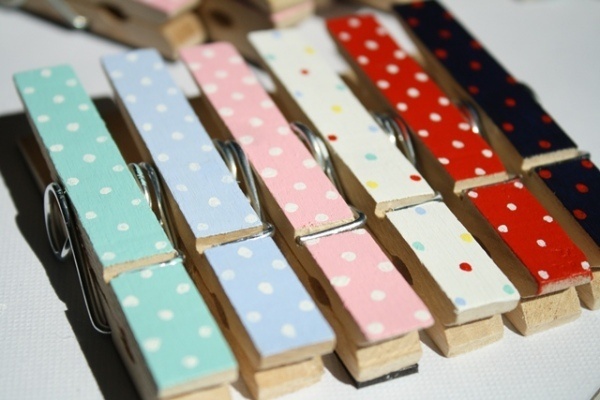 Today I’m making some clothes-peg fridge magnets first posted by blogger, Concretemoomin. I have to admit that I think Concretemoomin’s are far cuter (even if I had taken a better picture) but I’m still pleased I made them, especially as they’ve proved so useful already and hold much more than my other magnets. At the moment, they are holding up some lovely wedding invites. 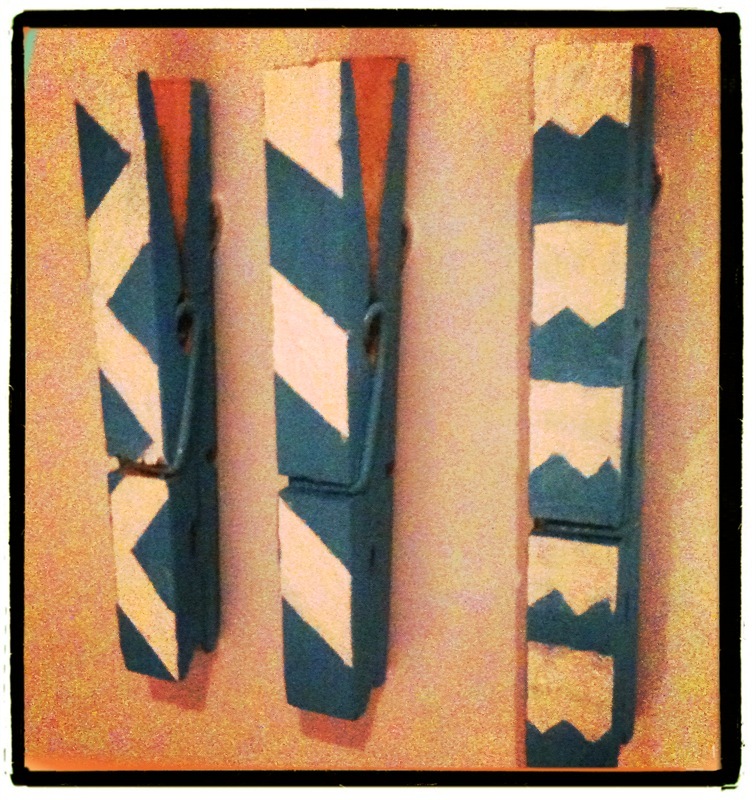 Paint your pegs in whatever base colour you choose. I stuck to blue as they go with my kitchen, but I love the choice of colours on the original. Once dry, cut and stick Scotch tape to create a masked area. For the zig-zag effect, cut the tape with pinking shears first. Then apply your second colour. Leave to dry and remove the tape. Then stick a magnet to the back using strong glue. 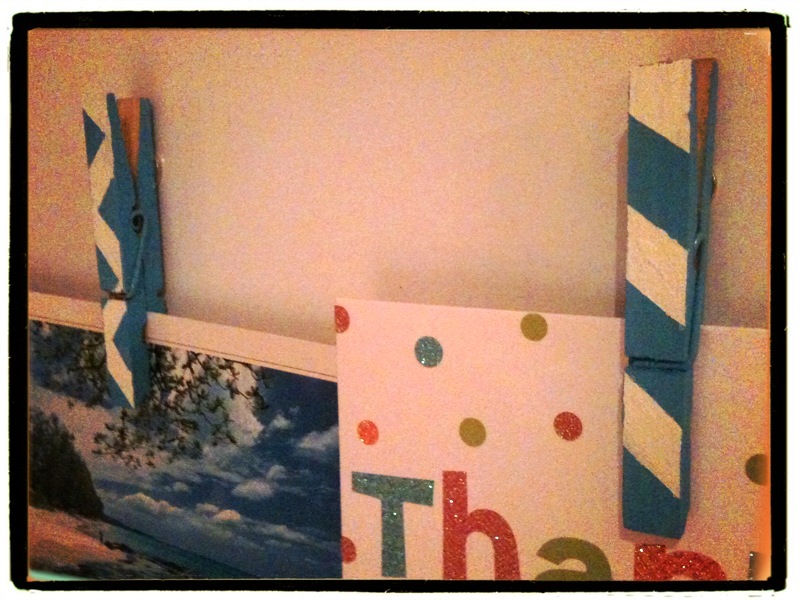 This entry was posted on Thursday, June 21st, 2012 at 3:02 pm	and tagged with clothes peg, craft, DIY, magnet, Pinterest and posted in Make, Do & Mend, Review. You can follow any responses to this entry through the RSS 2.0 feed. Thanks for stopping by my blog Lola! I have seen this around on pinterest and I really need to get on this! I love the idea! LOLA LOVES GIVEAWAYS… WIN your ‘Queen of Crafts’ book now! Lola loves… to make jewellery! Bringing you home, wherever you live.